What does it take to get super-human skin? CACI want to help channel your inner Superhero and as I’m into the Superherohype their call-to -action had me leaping! 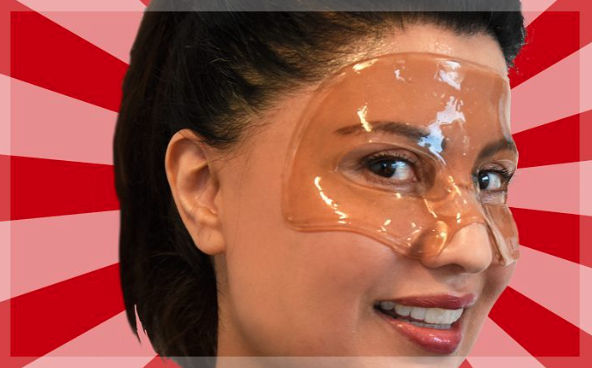 I tried CACI’s Hydro Eye Mask that made me look like a Superhero and make me feel like ‘Wonder Woman’! The anti-ageing skin-quenching mask has ‘wonder’ ingredients that include hyaluronic acid and collagen to hydrate and plump up the skin, whilst green tea and cucumber detoxifies and reduces puffiness around the delicate eye area. The CACI Hydro Eye Mask is priced at £25 for a pack of 5, available to buy at http://caci-microlift.co.uk/shop/eyemask/ or at CACI stockists nationwide.